Negative totals in three key performance metrics are squeezing Miami-Dade’s hotel industry, the most recent data from STR reveal. The national visitor industry data and analytics company’s most recent monthly data show that as of February, year-to-date occupancy here is down to 80.1%, a 2.7% drop from February year-to-date 2016. The report’s census included 422 hotels and 54,805 rooms in February, up from 404 hotels and 52,203 rooms in February 2016. The occupancy dip has pushed down average daily rates, said Jan Freitag, senior vice president of Lodging Insights for STR. The average daily rate as of February year-to-date is $223.58, off 8%, down even farther from the 1.8% decrease last year to $243.02. However, before the 2016 dip, average daily rates in February year-to-date 2015 rose 10.3% to $247.57 from the previous year. “The room rates increased a healthy amount in 2015 but then declined in 2016 because of the influx of new supply,” Mr. Freitag said, coupled with such other handicaps as the spread of Zika virus and economic and political turmoil in such Latin American markets as Brazil, which had been Miami’s largest feeder market abroad. Nonetheless, average daily rates in the county sit roughly $100 above the national average. Unsurprisingly, revenue per available room (RevPAR) also took a hit, down to $179.07, off 10.5% from the same time last year. Even last year, when it was down 5.1% from 2015, RevPAR sat at $200.08. However, supply and demand have both increased in numbers and percentages, the report shows. Demand has increased 1.9% to 2,584,099 rooms. At the same time last year, demand sat at 2,535,745, up 0.2% from 2015. 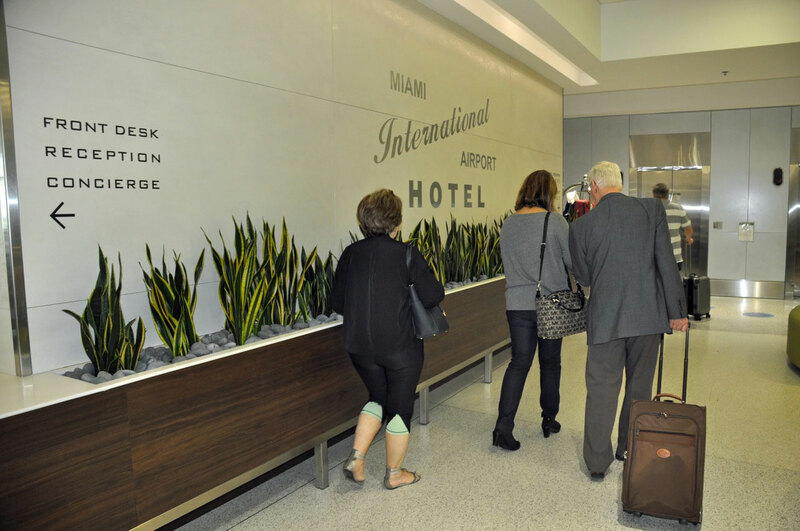 “During the last several months, the number of people coming into Miami hasn’t grown as much as it used to, but even in January of 2017 we had 1.1% more visitors than we had in January of 2016,” said Rolando Aedo, executive vice president and chief marketing officer for the Greater Miami Convention & Visitors Bureau. “Room demand has increased – we’re selling more rooms than a year ago – which is good news because it means people are traveling,” Mr. Freitag said. But, with Miami being a hot market, he said, there has been significant impetus to build new hotels, increasing supply. Thus, similarly to demand, supply is up to 3,226,396 room nights sold, an increase of 5% in February 2017 alone. Nonetheless, the rise in supply has all but cancelled out the boost from the rise in demand, leading revenue to drop. Following the trend of the 2015 increase in average daily rates, revenues in 2015 shot up 15.6% to $626,359,706 before dropping last year. As of February year-to-date, total revenues were at $577,755,660, down 6.2% from 615,241,052 in February year-to-date 2016, which was in itself a 1.6% dip from 2015.